The first step in solving problems in lawns, sports fields, and golf courses is to describe the problem and put it into context. 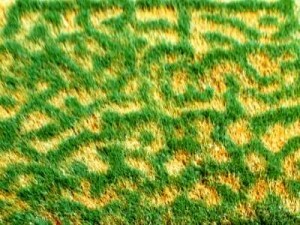 Many turf problems are noticed as a change, e.g., brown grass that was previously green. Others problems are a failure to meet expectations, e.g., a turf manager plants grass seed which does not grow. Both kinds of problems require a description of the problem and the context, either before vs. after or expectation vs. reality. Time and space are critical in describing a problem, for example, knowing when the grass was green or when the seed was planted. More complex turfgrass problems involve different entities. For example, your Homeowner’s Association contracted with an irrigation company to manage your irrigation system. After a few months the grass was dry. In this case the description should mention the dry grass, the history of when the grass was not dry, the ensuing weather, and importantly, what exactly was the responsibility of the irrigation company? Does anyone else share responsibility? What exactly does the contract say? Help! I scalped my new sod!!! What now? ?